I finally found the time to write a post again. I had to take a break from blogging, but I did not stop using and discovering Asian beauty products. Now there will be more in the future. The Seam is a Korean beauty brand that started in 2010. Seam means spring water of beauty in Korean. The company promotes itself as eco-friendly, very similar to Innsifree. I have to admit that even the packing is similar to the brand. After searching the brand I found that the Ampoules seem to be popular, so I decided to get one. There are 6 ampoules available, all for different skin needs. I choose the hydrating type as my skin was slightly dehydrated. The product is described as paraben, artificial colorant, mineral oil and benzophenone free. On one of the website it’s described as a Hyaluronic acid aqueous solution with 5 kinds of hyaluronic acid to the moisturize skin. 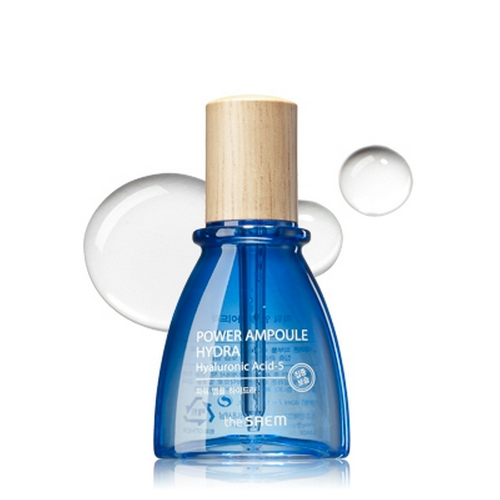 The ampoule promises to hydrate ad maintain moisture. Hyaluronic acid is famous for its ability to replenish moisture. The ingredient is used in many products aimed at hydrating skin, think of the famous Hada Labo lotion from Japan (see review here). The Packaging is what you could expect form an eco-fields brand, it has a nice looking wooden screw top like many of their products. There is pipette for application, but in contrast to the usually squzz system you have to push the top catch some product in the pipette. I have never used a piptte like that before. Honestly, I like how easy it works and you will never take out too much product. The color is blue, not surprisingly like water to remind us of the moisture we are supposed to get from it. I apply a few pumps onto my face after using active serums. After that I proceed with toner an day usually skincare routine. The texture is watery liquid compared to other serums, but it’s similar to other ampoules which tend to be more watery. It’s not too light on the skin but absorbs in 1-2 minutes. The hyaluronic acid gives the skin moisture boost. 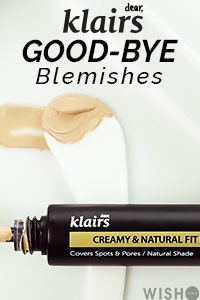 The product adds a hydrating layer and feels in place under my other products. There is slight glow and it does not feel heavy. Absorption is less effective, I guess that is due to the lack of alcohol in the formula. I have been using the ampoule for months and got rid of the empty before publishing this blog post (sorry no pictures). I see this Ampoule as a good everyday product for s skin that needs just a little bit more moisture. The formula is very simple as there are no unnecessary additives, which makes it safer for sensitive skin. It does a good job at hydrating and preparing the skin the next skincare steps. Another pro is that the product is cheap, between 10-15 dollars for 40 ml. My sensitive skin didn’t react to it. However, don’t expect wonders, it’s a quit basic ampoule but enough if you want that hydrating effect. Although, like it and its doing what its hydrating , I will probably not purchase it again. It didn’t impress me to get another one. There are still many products out there to discover and many of them could replace it.